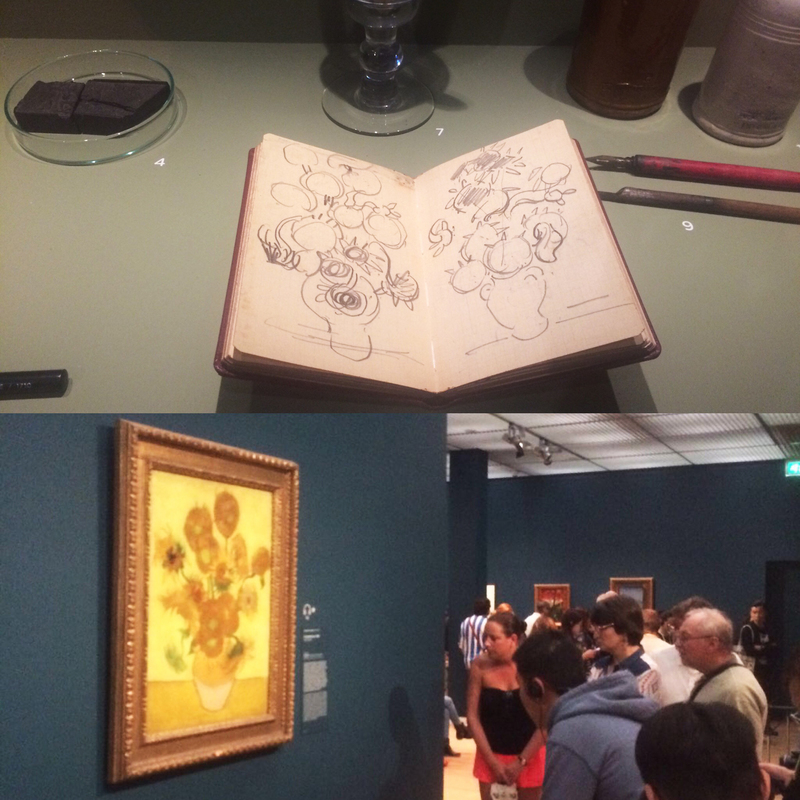 Van Gogh constantly appears on lists as the world’s most popular artist. One of the more random ones I am aware of, is how his Bedroom in Arles painting was voted the most appealing by prisoners – something to do with the cell like layout I guess. There is so much written on him and his life and I always would have considered myself a fan of his work but it wasn’t until I saw so much of it up close and personal did I fully appreciate him for the genius he was. There were two things that really resonated with me as I went through the gallery. The first was how he never stopped learning. Contrary to popular opinion, he was not self taught but studied for a time at the Academie Royale des Beaux-Arts. He continued to use this education throughout his life whether it was painting a roof orange to compliment his blue skies in The Yellow House or using a viewfinder and grids to scale the geisha for Courtesan (after Elise). 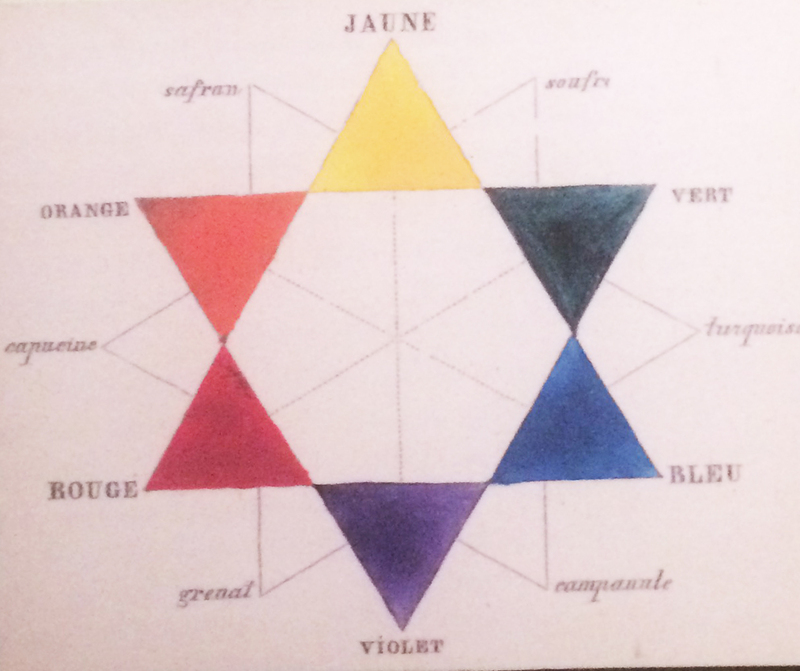 The image below is his colour wheel. I love to think of someone so talented and clearly breaking barriers but yet using tools of the trade to get his results. The second thing that really struck me was that everything he produced, all those amazing paintings were done, despite his mental health problems. When he was first treated he was diagnosed as epileptic. I was diagnosed at 15 as being epileptic and so I loved this fact – something Vincent and I had in common. Experts now agree that in fact, if he were diagnosed today, it would be more a case of borderline personality disorder, there goes my link with the great man! What I really wonder though, is if he were alive today, with all the tech and medical advancement since 1890, would he be successful in building his artist’s utopia? Would he create such dynamic, groundbreaking art or would he fall victim to his mental illness in the vein of Diane Arbus in the 70’s or Alexander McQueen in 2010? One thing is for certain, he continues to inform, inspire and challenge artists up to today. 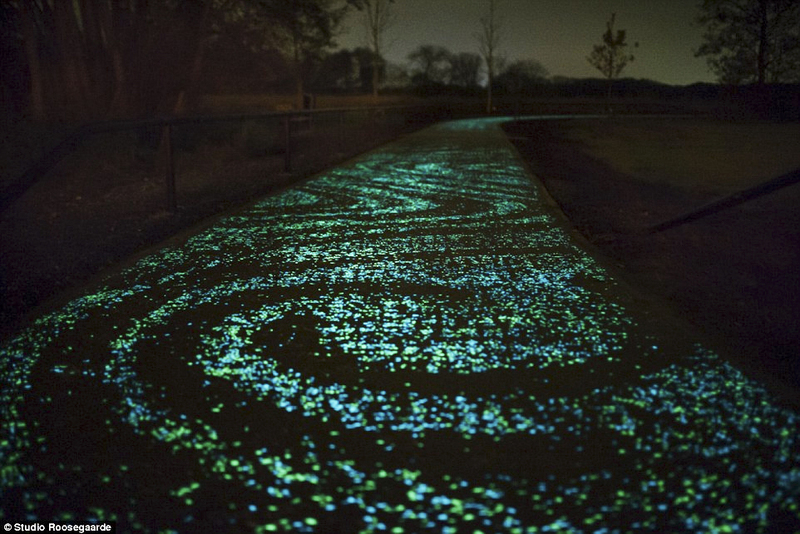 The below images are from Dutch artist Daan Roosegaarde’s wonderful bike path that was inspired by Starry Starry Night. 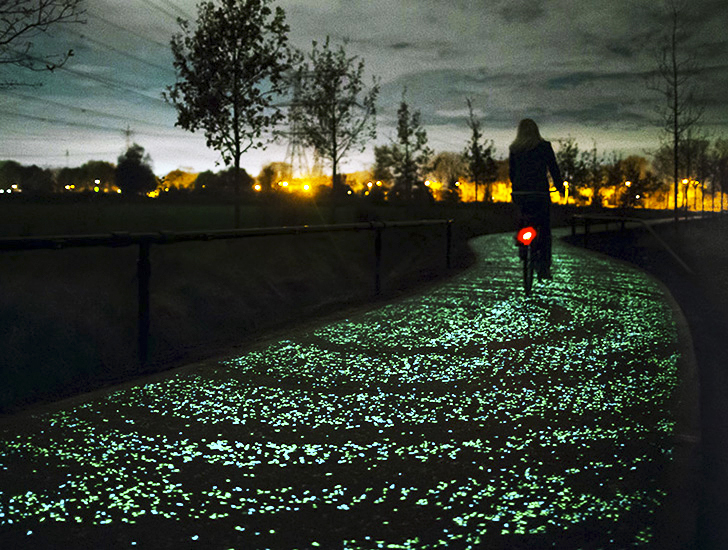 It was a kilometer long and ran through the city of Eindhoven. It was commissioned to mark his anniversary in 2015, 125 years since his death. Amazing, isn’t it?